What is Heat Treatment ? Heat Treatment process is a Heart Of Industry because nothing can be manufactured without heat treating, a process in which metal is heated and cooled under tight controls to improve its properties, performance and durability.Heat Treatment is an term which is defined as an operation or a combination of operations, involving the heating and cooling of metals to change their physical and mechanical properties, without letting it change its Shape.There will be no change in chemical composition in these process.Heat treatment could be said to be a method for strengthening materials but could also be used to alter some mechanical properties such as improving formability, machining, etc. The most common application is metallurgical but heat treatment can also be used in manufacture of glass, aluminum, steel and many more materials. It is very important manufacturing processes that can not only help manufacturing process but can also improve product, its performance, and its characteristics in many ways. To increase the hardness of metals. To relieve the stresses set up in the material after hot or cold working. To modify the structure of the material to improve its electrical and magnetic properties. To increase the qualities of a metal to provide better resistance to heat, corrosion and wear. Hardening involves heating of steel, keeping it at an appropriate temperature until all pearlite is transformed into austenite, and then quenching it rapidly in water or oil. The temperature at which austentizing rapidly takes place depends upon the carbon content in the steel used. The heating time should be increased ensuring that the core will also be fully transformed into austenite. The microstructure of a hardened steel part is ferrite, martensite, or cementite. Ferrous metals are normalized to relieve the internal stresses produced by machining, forging, or welding. Normalized steels are harder and stronger than annealed steels. Steel is much tougher in the normalized condition than in any other condition. Parts that will be subjected to impact and parts that require maximum toughness and resistance to external stresses are usually normalized. Normalizing prior to hardening is beneficial in obtaining the desired hardness, provided the hardening operation is performed correctly. Low carbon steels do not usually require normalizing, but no harmful effects result if these steels are normalized. Normalizing is achieved by heating the metal to a specified temperature (which is higher than either the hardening or annealing temperatures), soaking the metal until it is uniformly heated, and cooling it in still air. 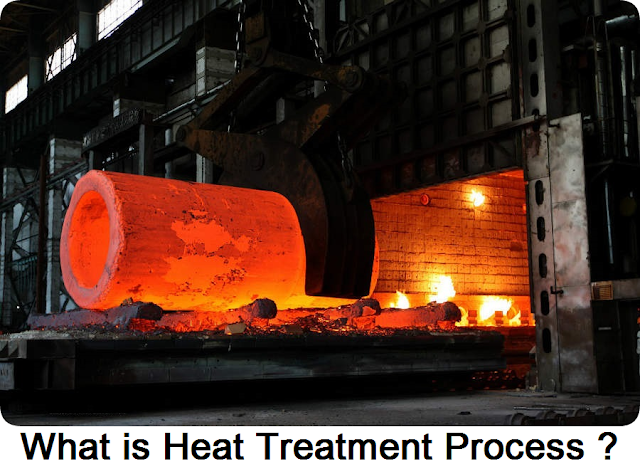 Annealing heat treatment process is heating the material above the critical temperature, holding long enough for transformation to occur and slow cooling. Full annealing heat treatment differs from normalizing heat treatment in that the annealing temperature is typically 150-200F lower than the normalizing temperature and the cooling rate is slower. This establishes a soft microstructure and thus a soft product. Steel is usually harder than necessary and too brittle for practical use after being hardened. Severe internal stresses are set up during the rapid cooling of the metal. Steel is tempered after being hardened to relieve the internal stresses and reduce its brittleness. Tempering consists of heating the metal to a specified temperature and then permitting the metal to cool. The rate of cooling usually has no effect on the metal structure during tempering. Therefore, the metal is usually permitted to cool in still air. Temperatures used for tempering are normally much lower than the hardening temperatures. The higher the tempering temperature used, the softer the metal becomes. High-speed steel is one of the few metals that becomes harder instead of softer after it is tempered. Process which is used to strengthen the surface of metals by heating them in the bath that contains salts of cyanide is called Cyaniding. The process is used for low and medium carbon steels. Gas Nitriding process is the purposeful introduction of nitrogen in the surface of a steel which results in a thin, hard case. Gas nitriding heat treatment is typically performed at 50-75F below the tempering temperature of the steel being nitride. Material must be in the quenched and tempered condition prior to nitriding for best effectiveness. Steels which contain Tungsten, Vanadium, Molybdenum, Aluminum, and/or Chromium form the hardest nitride layers. This is a heat treatment process carried out in order to break down large, coarse grains formed by the overheating of steels. The process involves heating the job to above the upper critical point and then quenching it. This is repeated three or four times, the maximum temperature being lowered by 50C each time, e.g. first heating to 900C, second heating to 850C and the fourth heating to 750C. This process is done in addition to normalizing. Where the jobs are such shapes as to give rise to severe strains on quenching, they are air-cooled. It is a heat treatment process in which steel or iron is heated to a temperature, below the melting point, in the presence of a liquid, solid, or gaseous material which decomposes so as to release carbon when heated to the temperature used. The outer case or surface will have higher carbon content than the primary material. When the steel or iron is rapidly cooled by quenching, the higher carbon content on the outer surface becomes hard, while the core remains tough and soft. Once a metal part has been heated to the temperature at which desired changes in its structure will take place, it must remain at that temperature until the entire part has been evenly heated throughout. This is known as soaking. The more mass the part has, the longer it must be soaked. After the part has been properly soaked, the third step is to cool it. Here again, the structure may change from one chemical composition to another, it may stay the same, or it may revert to its original form. For example, a metal that is a solid solution after heating may stay the same during cooling, change to a mechanical mixture, or change to a combination of the two, depending on the type of metal and the rate of cooling. All of these changes are predictable. For that reason, many metals can be made to conform to specific structures in order to increase their hardness, toughness, ductility, tensile strength, and so forth.